Create a soundscape that describes a sky full of 'twinkling' stars. 1. No observable 'beat.' The sounds and durations are planned, but no 'beat' is felt by the listener. 2. No longer than ten seconds long. 3. 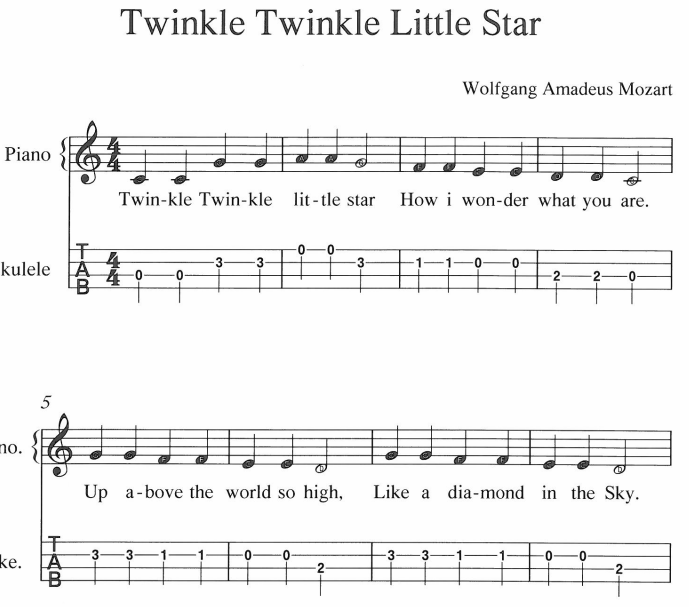 Musical sounds reflect sparkly, tiny, high in the sky. 4. The ukelele is used to perform this and is held correctly, with the left hand on the neck. Create a song following the form of the pictures from outer space. 1. Create soundscape descriptions of each of the visuals. Perform the soundscapes int he order of the images. 4. Consider timbre as well as rhythm and pitch.